MDW range of scales are suitable for many medical and sports applications like gyms, doctors offices and hospitals. They feature a sturdy design and construction with a metal base and non slip weighing platform. 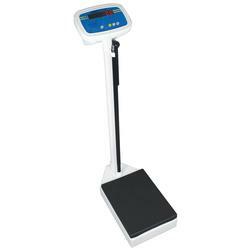 The MDW 250L is a digital scale with built in battery and color coded keypad that is simple to use. The MDW 160M is a mechanical scale that features wheels for easy mobility and a notched counter weight that shows the weight clearly. Both offer an adjustable height rod to quickly take weight and height readings. Adam Equipment’s medical scales offer an affordable rugged solution to the needs of medical professionals and health practitioners throughout the world. And with over 35 years of experience in the weighing industry you can trust Adam for quality products that are always the perfect balance of speed, performance and value. Easy to move with built in wheels and sturdy mechanical operations, with no need for any external power supply or batteries, this mechanical scale can be used anywhere from a gymnasium to the doctor’s offices. MDW 160M offers a safe non-slip platform, a durable molded non-slip platform will help protect persons when standing on the unit. Platform is removable for easy cleaning. Ability to measure the height of the person while on the unit to reduce the time and space needed to record vital information. MDW 200M offers a safe non-slip platform, a durable molded non-slip platform will help protect persons when standing on the unit. Platform is removable for easy cleaning. Ability to measure the height of the person while on the unit to reduce the time and space needed to record vital information. 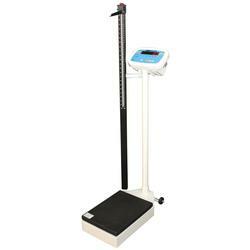 Standerd classic sturdy mechanical scale, with no need for any external power supply or batteries, this mechanical scale can be used anywhere from a gymnasium to the doctor’s offices. MDW 200B offers a safe non-slip platform, a durable molded non-slip platform will help protect persons when standing on the unit. Platform is removable for easy cleaning. The MDW 250L scale is a Digital Physician Scale. It is an accurate electronic device with advanced design and stable performance. It is designed to measure both the weight and the height of a person.